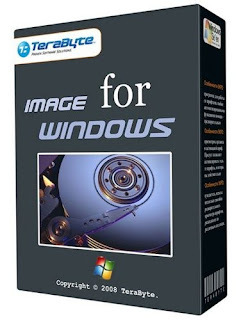 Image for Windows is an affordable and reliable drive image backup and restore solution that provides an easy and convenient way to completely backup all your hard drive's data, programs and operating systems. Your backups can be saved directly to external USB and FireWire drives, to internal or network drives, and even directly to CD, DVD, or BD. The Image for Windows package includes an easy-to-use MakeDisk wizard for creating a recovery boot disk. To restore your data, programs and operating systems back to the way they were when the backup was created, simply boot the recovery disk and restore the partition(s) or drive(s) you need to recover. It's that easy. Image for Windows utilizes the technology provided by Volume Shadow Copy Service (VSS) or PHYLock, an add-on component included in the Image for Windows package. VSS and PHYLock allows you to continue using your computer while the backup is locked to a point-in-time. This eliminates the inconsistencies typically experienced while backing up a partition that is in use. Backup Changed Data - Change only backup option allows you to backup only data that has changed since the last backup was created. Changed default for /wco (WriteChangedSecsOnly) to be disabled when unable to retrieive the required data from the drive. Added /wcoa (WCOAvail) global option which reverts the change to the /wco option above. Change descriptions used for the partition file systems. Change mime format of outgoing email messages to support email clients that don't handle defaults properly.